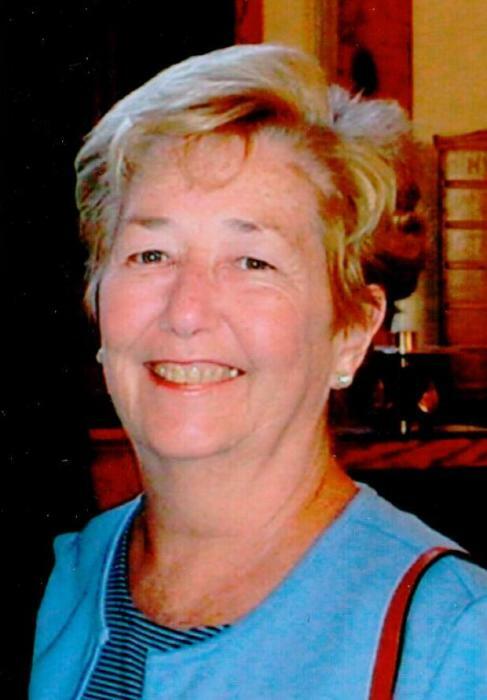 DOROTHY ANNE (ERICKSON) SALVATORE, passed away at Port Healthcare of Newburyport MA on Wednesday, 8/22/2018 at age 78. Born on April 6, 1940 to the late Harold and Margaret (Flanagan) Erickson. Dorothy was a life long Newburyport resident who attended the Immaculate Conception school and graduated from Newburyport High School in 1958. Along with being a devoted wife, loving mother and grandmother she volunteered as assistant to the principal of the Immaculate Conception while her children attended school. She was a proud and professional bank employee with Newburyport’s First and Ocean National bank. She began her banking career as a teller and eventually succeeded in holding numerous bank management positions. She retired in early 2000 having had a well respected career and creating many life long friendships. Dorothy and her husband, Frank enjoyed traveling together to some of their favorite destinations around the world to include: Ireland, England, Italy, Eastern Europe, and Alaska as well as other beautiful destinations within the United States. Dorothy was predeceased by her parents, her aunt Julia and uncle Joseph Brown, and her best friend and loving sister Denise Bernier. She is survived by her loving and devoted husband of 55 years, Frank D. Salvatore whom she first met back in high school. Also her four children, Joseph Salvatore, Thomas Salvatore and Denise Southey, Anthony and Christine Salvatore, and Anne and Jon Farrell. Dorothy's 10 grandchildren, Kerri and Matthew Salvatore, Brendan, Ryan, Margaret and Kyle Farrell, and Olivia, Nicholas, Michael and Christopher Salvatore, all of who surrounded her with love through all her days. She is also survived by her sister Barbara (Erickson) Woods and beloved niece and nephews. The family extends its thanks to the entire staff of Port Healthcare of Newburyport. They provided Dorothy with compassion and dignity during her and her family’s time of need. Relatives and friends are invited to attend calling hours on Monday August 27, 2018 from the hours of 4:00 to 7:00 PM at the Twomey, LeBlanc and Conte Funeral Home 193 High St. Newburyport MA 01950. Parking available behind the Funeral Home. Her Funeral Mass will be celebrated at 10:30AM on Tuesday August 28, 2018 at the Immaculate Conception Church followed by a burial service at St. Mary’s Cemetery, both in Newburyport. In lieu of flowers, donations may be made in Dorothy’s name to St. Jude Children’s Research Hospital 501 St Jude Place Memphis, TN 38105 Source Code: IIQ180788777.